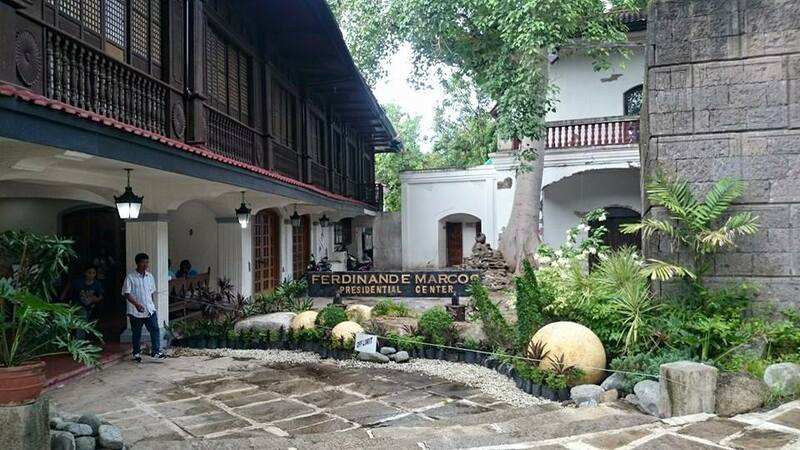 The ‘sacred’ story of the Philippines’ former strongman Ferdinand Marcos, as told through a bizarre museum in his home province, where he is still adored. Outside of the Marcos Museum and Mausoleum, beneath a soaring verdant canopy, skinny pushbike tricycle drivers listlessly chatter away the day. They are more consumed by their conversation than finding customers — exiting visitors of the museum making their way to Marcos Avenue, carrying with them weighty opinions. a potent case study in the cult of personality. To them, the historical accounts, memorabilia and documentation displayed within are half-truths and whole lies. Even the feature attraction, an eerie mausoleum holding Marcos’ body in state, is apocryphal. According to urban legend, the body is a fake — a wax figure poetically put on display in a final ruse pulled by the great puppet master over his unwitting populace. Inculcating a positively spun outlook is the museum’s objective, so perhaps such uncontainable enthusiasm is to be expected. Visitors are guided through the museum via passages partially written by none other than Imelda Marcos, the late Ferdinand’s wife and infamous lover of an unearthly diversity of shoes and glittery things. Imelda is a former beauty queen, and her own story, where a gallant Marcos courts her, is a key part of the lore presented at the museum. In a room that displays Imelda’s and Ferdinand’s trendsetting fashion – pastel filipineradresses, sleek pineapple-fibre barongs – replica dried watermelon seeds are encased in glass, documenting the salty snacks that Imelda was eating when she first saw Ferdinand. Read the original article on Southeast Asia Globe.